The Christmas season is officially upon us! 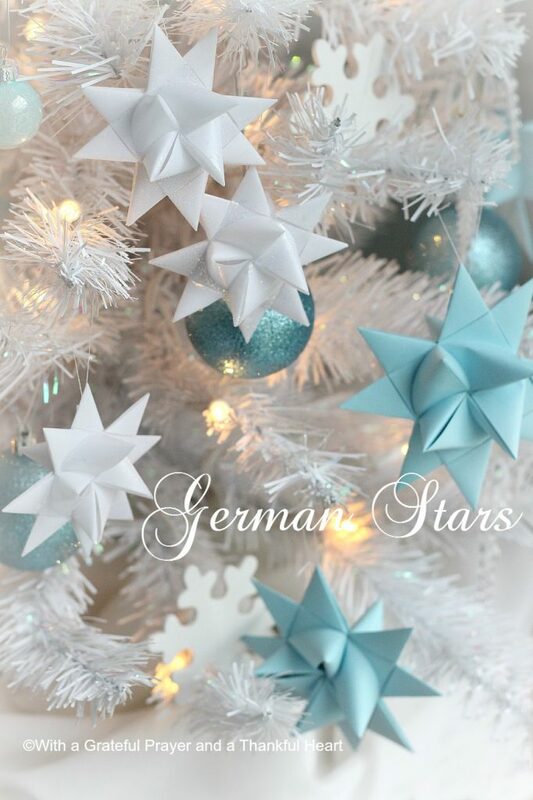 I have pulled out the decorations and found my Folded Paper German Star ornaments. I display them throughout the house. 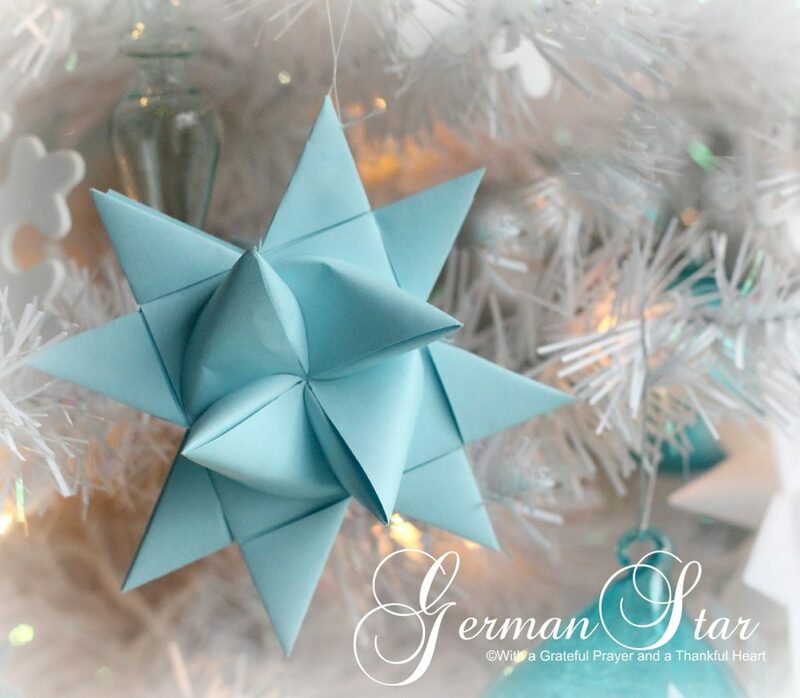 Sharing again, my German Stars Video Tutorial, a step-by-step guide for making these stars because it is one of my most popular posts. The white, glittery stars have been dipped in wax and the blue ones have not. The waxed stars are sturdier and weather resistant but take into consideration that the colored paper will become darker when waxed. There is not darkening of the white stars. Years ago, my cousin gave me a pretty feather tree that she picked up on an after-Christmas clearance. 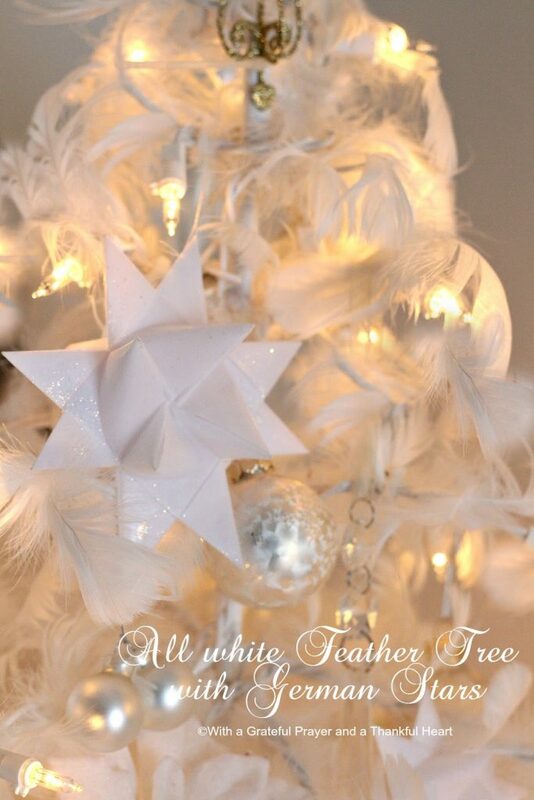 I get many questions about where a feather tree can be purchased but I am sorry to say that I don’t know. If you are giving stars as gifts, you might want to include a card. I created a FREE printable for you with a place for the recipient’s name on the front, a little history about the stars on the inside and storage suggestions on the back. 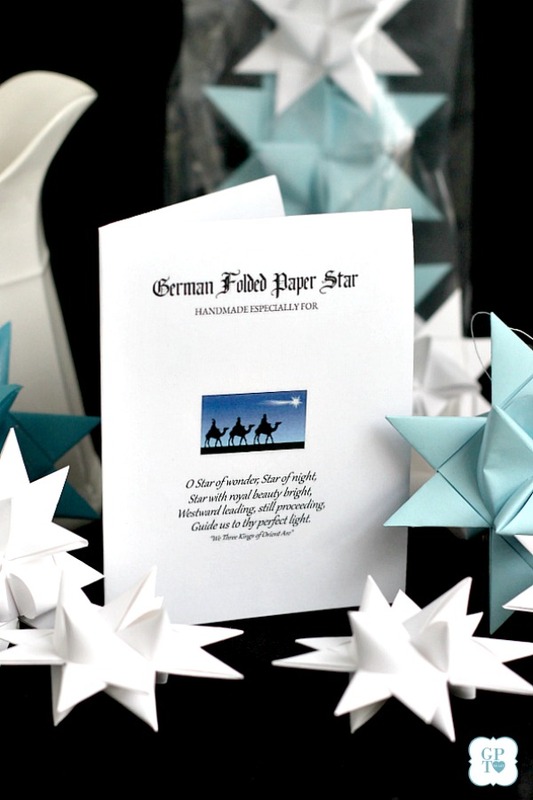 Get your printable by clicking German Folded Paper Stars Gift Card. 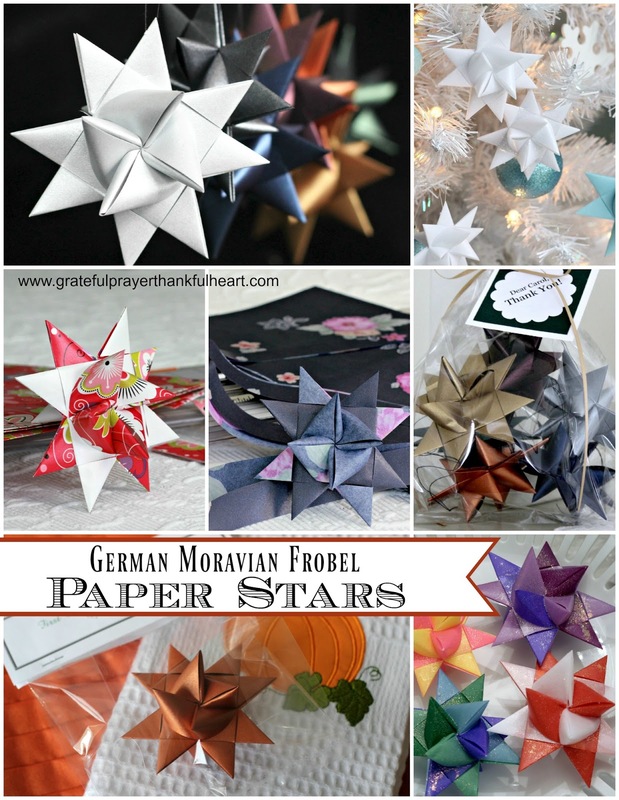 Want to learn to make folded paper stars (or just want a refresher)? My video will walk you through each step as you watch every fold and turn. Pause it whenever needed and resume until you have finished the star. The tutorial is in two parts. Part 1 will take you through all of the folds to create a flat star. Part 2 shows how to create the points on both the front and back. You can cut your own paper strips but I prefer to purchase them. German Paper Stars Video Tutorial. Dip the stars in wax. 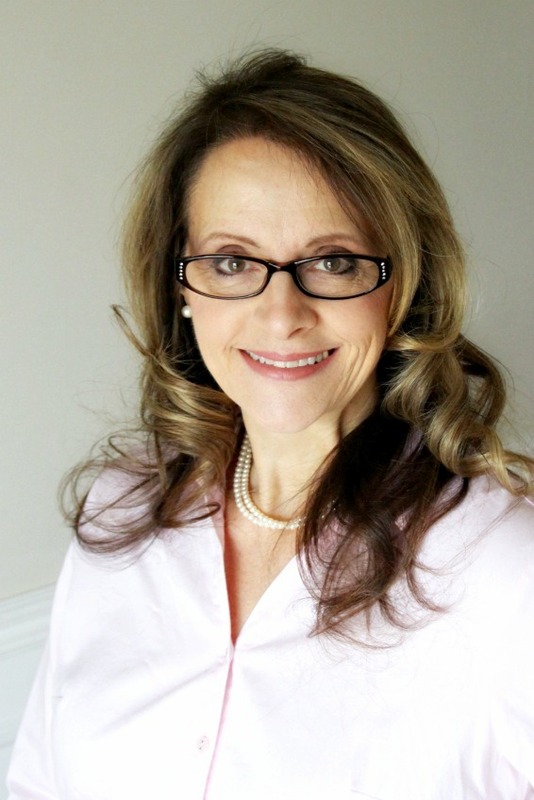 It was so sweet to hear your voice in the video Lorraine. Thank you so much for the video link and the awesome tutorial!. I'm seriously wondering about you making everything so perfect and neat, be it cooking, or gardening or crafts and so on… God bless you!! Thanks for being such an awesome inspiration! Will make a star and let you know 🙂 Thank you once again! I'm amazed you can remember all these steps! Thanks for reposting this. They are beautiful. I love this and of course, I pinned it to my Everything Christmas board. I feel so honored to have my very own paper stars, made by you and gifted to me, last Christmas! I just took them out of storage and when I did, I thanked God for our visit and that you made them for me. Your white glittery ones are so beautiful! These are so elegant Lorraine. I've watched the video and think I'd like to try and make some myself. The stars are beautiful, Lorraine! Long, long ago, a father came to our door, selling them , as he was without a job. I always remember it when I look at that special ornament. 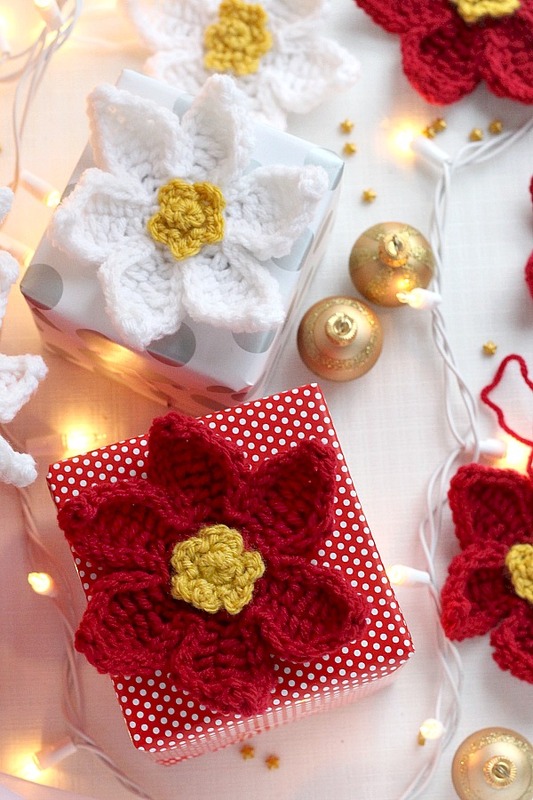 This has to be the prettiest blog post I've seen today!! Those are beautiful, Lorraine! It brought back memories of making them myself when I was little! I love your stars. They remind me of something similar I made when I was a young girl. I may try to make them. Thanks for sharing your video – I'll check it out. I love your paper stars and your video is how I found your blog.